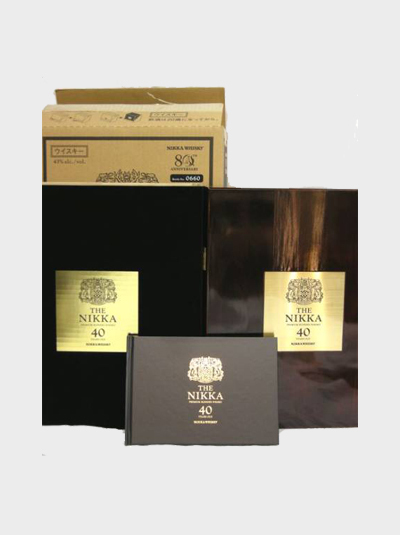 Nikka 40 Years Old premium blended whisky is a very limited bottling, with only 700 bottles being produced. 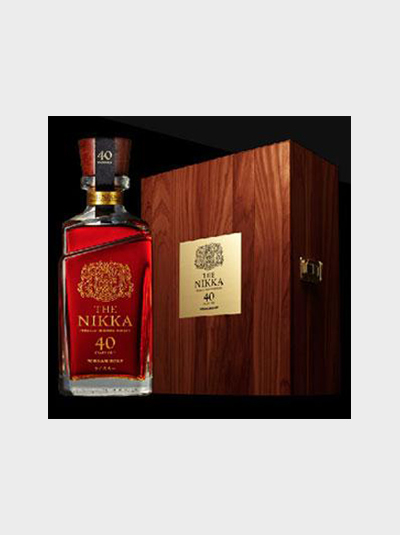 The Nikka 40 Year Old is a blended whisky, containing some of the oldest stock available at Nikka’s distilleries, including Yoichi malt, distilled in 1945, and Miyagikyo malt, laid down in 1969. 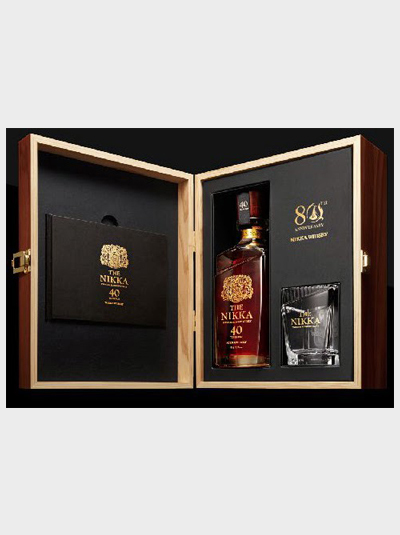 This is a supremely elegant, super-brand-new decanter, created to commemorate the 80th anniversary of the founding of Nikka. It’s not just whisky, it’s a journey. The drink has three main stages. 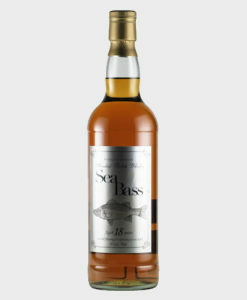 First is the most subtle combination of tropical fruits. 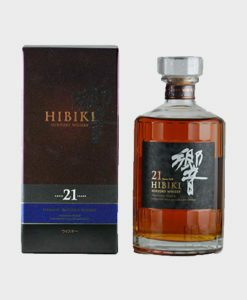 Second is a delicate blend of soft spices and precious woods. And the third involves more essential oils. Last but not least, after fifteen minutes, everything comes gushing in at the same time, but you feel more calm and serene.